Use nature’s little scrub brush to shine up your faucets. 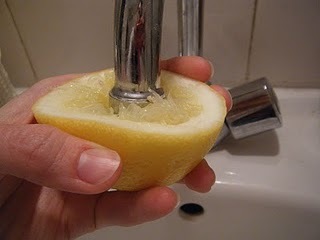 Cut a fresh lemon in half rub it on your faucet and aerator, twist, twist, twist. Shiny and clean. Rinse with clear water and dry with a soft cloth.